Fusion Arena opening at Philly Sports Complex in 2021. Rick Williams reports during Action News at Noon on March 25, 2019. PHILADELPHIA (WPVI) -- Game on, Philadelphia! A new arena is coming to the Philadelphia Sports Complex in South Philly. But this time the sport won't be played on a field, court, or rink - but on screens. Comcast Spectacor and The Cordish Companies announced plans Monday for a $50-million next-generation esports and entertainment venue. Comcast Spectactor and The Cordish Companies announced plans for a $50-million next-generation esports and entertainment venue in Philadelphia. 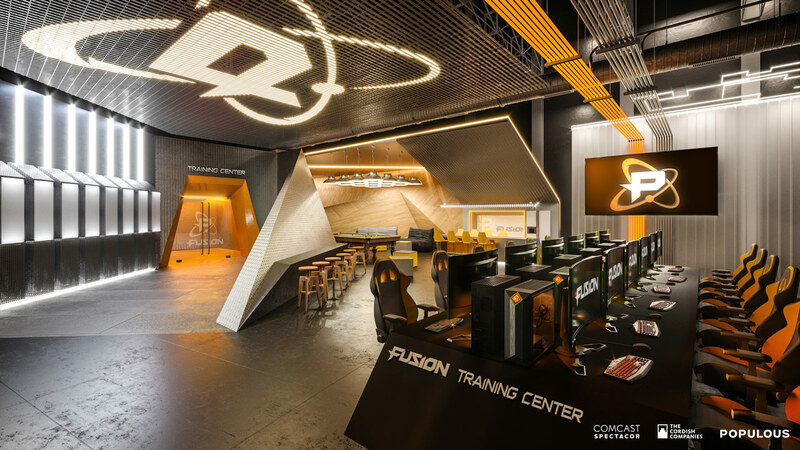 Fusion Arena, named after the Philadelphia esports franchise, will sit adjacent to Xfinity Live! The 60,000 square foot building will seat up to 3,500 guests in its event theater. 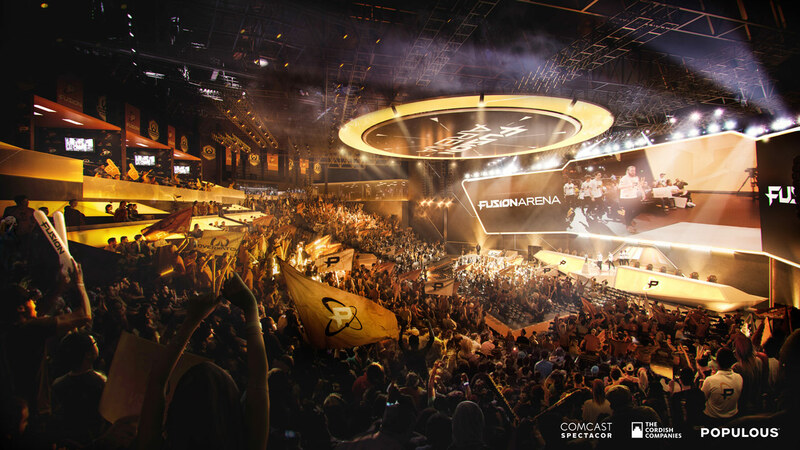 According to a release sent by Comcast and Cordish, the "first-of-its-kind venue" will be the largest new-construction, purpose-built esports arena in the Western Hemisphere. "The Fusion will play their matches there for the 2021 season and it's expected to open early 2021," Comcast Spectator told 6abc.com. Press start as we journey through the history of competitive gaming known as esports. It will serve as an arena for gaming events and live entertainment programming. "Fusion Arena gives esports fans a best-in-class venue to call home and be proud of. Beyond competitive gaming, it's a stunning facility that will host a wide array of events," said Dave Scott, Chairman and CEO, Comcast Spectacor. According to Comcast, a 6,000-square-foot public entry will greet guests as they enter the space and "includes 2,000 square feet of interactive media surface hovering 30 feet above them." The arena's seating options include "two balcony bars, club seats with USB ports, flexible loge boxes and exclusive suites. Additionally, nearly 10,000 square feet will be dedicated to a training facility, broadcast studio and team offices." Comcast Spectacor and and The Cordish Companies partnered in the past on the development of Xfintiy Live! Fusion Arena is designed by architecture firm Populous. The company also designed Citizens Bank Park, home of the Philadelphia Phillies. The Fusion are currently in third place in the Overwatch League standings. Comcast Spectacor told 6abc.com the Fusion will compete next season at soon-to-be-announced venues in the Philadelphia region.